While this revolution is gaining wide acceptance, Parlay Chain (PAR), a decentralized prediction platform has arrived. 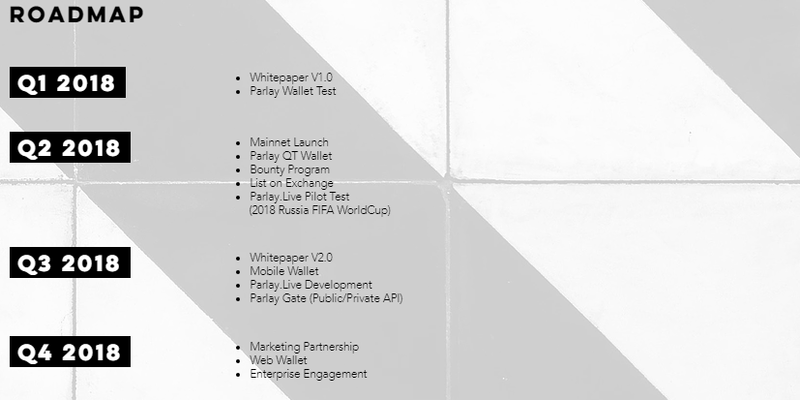 Parlay is a project to pursue scalable blockchain solution that has PrimeNodes to minimize blockchain network delay and user-friendly masternode. Moreover, Parlay is an event-driven cryptocurrency which is decentralized prediction game platform, operated by public community. Parlay Chain adopts Proof of Stake (POS) for consensus algorithm in order to increase and secure scalability of blockchain network. Parlay Chain embeds auto-scaling nodes which has unique node management system to stabilize the mainnet. Parlay Chain (PAR) is a decentralized prediction platform. Using PAR, users can both propose prediction games and vote/play games based on their interest. An event can be interpreted as more broad definition in Parlay community. Subsequently, the event will become a form of an election and/or a governance decision on community opinion. The future of Parlay live platform encourages community to post new events for multiple purposes. As previously mentioned, an event organizer can post a demo-election for Parlay event before the actual election starts. Participants could vote to the demo-election like game play. Those voting results from the demo-election could be used as predictive sample of the election. The above example is one of future usage that Parlay team strongly anticipates. Including such use case, Parlay events can evolve into numerous forms mainly driven by its community members and Parlay holders. Hence, Parlay.Live is the platform service that gathers and evaluates diversified collective intelligence proposed by the community. Parlay team urges to potentially expand and stimulate by the community and for the community. Fast transactions over the world verified by PrimeNode network. Your data is confidential. Transactions are encrypted and stored anonymously in Parlay network. Protect network from transaction congestion with auto-scaling feature. Validate transaction and generate blocks by staking. Each PAR holder gets incentives in Parlay network. Integrated with memory pool monitoring system and managed by Prime service. Single step automated solution to install/run node on VPS. Parlay.Live is a prediction game platform operated by the public. You are the one in control of every game in this platform. Propose your own game or vote/play for the games that interest you to get rewards from Parlay.Live. Parlay.Live lets you earn BTC/PAR pair vice versa either by operating your own game or winning a prediction game that you participate in. Prime service is a user-friendly solution that automates masternode setup. Does not require challenging engineering task. Highly effective enough to gather users who have hesitated to run masternode.